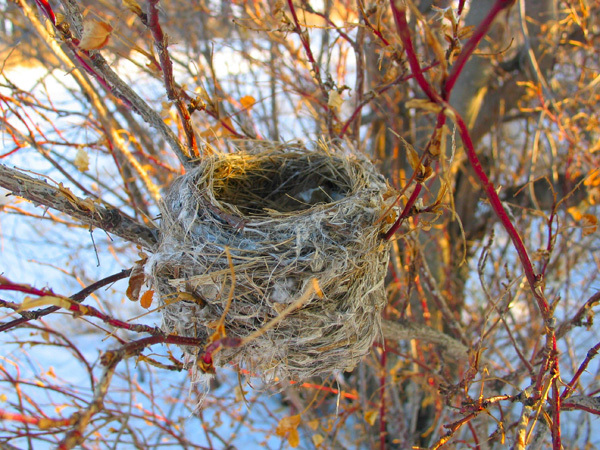 Empty Nest | Welcome to Prints on Purpose! For many women, the days following the day your last child moves away from home are days of major transition. I’ve always had ‘my own life,’ and was very determined not to make my children the complete and total center of my universe. I believed that my job was to help them to grow into independent people who would lead their own lives. And as a young adult myself, once upon a time, I knew that when my children did move out, I certainly wouldn’t be at the center of their orbit. 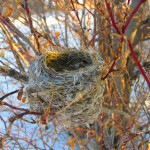 So I expected that ’empty nest’ would essentially pass me by. The day the last of my children’s major possessions disappeared into a U-Haul truck, and I closed the front door behind her, everything felt eerily quiet. It was a different quiet than the quiet of school hours. I was used to being childless during the day, and for many evenings, and over most weekends. But the door would always bang open eventually, and that youthful energy would permeate the house. Now, those times would be restricted to visits, when we provided the home base for our children’s dates with friends. Which isn’t quite the same. So I had to do something with this emotion, which had taken me quite by surprise. The first step was to acknowledge it, then share it with my husband, who is a very understanding person. Then, I realized it was an opportunity for me to take a hard look at my life. My search for my life purpose, which had been hovering in the background for years, came to the forefront. I did a lot of journaling, thinking and praying. While editing an e-zine, I found an article by Ronelle Coburn, a master hand analyst and teacher. Synchronicity?? When I asked her permission to include the article in the e-zine, it was the beginning of a new relationship, and a new journey, for me. Getting familiar with Ronelle and her work, and eventually training as a hand analyst myself, gave me a fresh start. Time has eased most of the ache of the empty nest; the quiet house has become the ‘normal’ now, and I only experience an occasional, sincere flicker of nostalgic desire for at-home children. But decoding my life purpose, and taking steps to live it, helped me to focus on what’s in the here and now, and what lies ahead. Just as my children are experiencing their own here and now, and what lies ahead for each of them. As it should be! If you’ve experienced that emotional wallop they call the empty nest, or a similarly challenging transition, what helped you cope? This entry was posted in Navigating Change and tagged Life Purpose, Transitions on February 18, 2016 by Donna Mills. Oh Donna! Thank you for this lovely perspective on empty nesting. I have a really non-traditional empty nest in that I raised my nephew and when he left, I felt a huge sense of emptiness that I had not anticipated. I didn’t realize how much of a mother I was to him until that first week of his departure to college. We were both in transition — he was a freshman in college and I moved across the country to start a new chapter in my life, but his energy was missing from my day-to-day life and I had to fill that void with my own zeal and zest for life. It was a difficult first few months, and even now, I have a little ping in my heart when I stop and sit still long enough to realize he’s gone. It’s been almost 10 years at this point and that never goes away. I think what helped me cope was that my husband and I moved out of our house the same week Treavor went off to college, so that helped a little. But in reality, what helped the most was when I decided to embrace the feeling and to allow myself to feel it and to miss him and to long for his energy in my space. Once I did that, every visit with him became more precious and more full of love and joy. I stopped trying to un-miss him and simply experienced my life with and without him.